We’ve spent a lot of time recently discussing user intent and visitor behavior. Data Science keeps telling us more and more about advanced user experience metrics and their impact on revenue, traffic, and brand perception. Below, I’ll highlight one of the most dynamic metrics for digital publishers, engaged pageviews. I’ll discuss exactly what an engaged pageview is and how it can be tracked. I’ll also share why it is a more dynamic (and helpful) metric than looking at traditional pageviews, and the correlation that engaged pageviews have with revenue, traffic, and user experience. 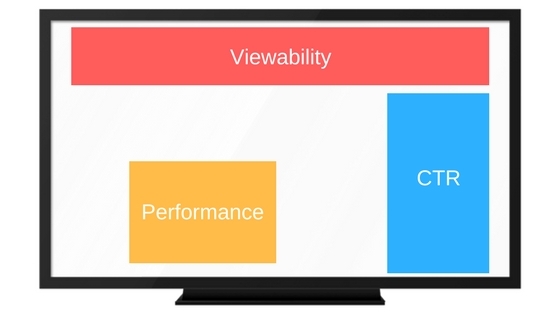 What is an engaged pageview? An engaged pageview is similar to a traditional pageview but combines some of the basic principles of engagement time. This helps deliver some context around the website visitor’s intent and behavior relating to particular pageviews. Definition: An engaged pageview is a pageview where the user has spent at least 10 seconds“engaged” to a page. Engagement is measured by looking at engagement time on that particular pageview. Looking at total engaged pageviews per visit is a way of tracking the number of engaged pageviews throughout a user session. Example: A website visitor lands on the home page, scrolls down, decides to read through some content, scrolls back up, and then clicks on a navigation menu option. As soon as the page loads, the visitor realizes this content was not what they wanted to view, and clicks back. Upon returning to the home page, they quickly decide to close that tab and resume browsing the web on another website. This GIF illustrates part of this example. In the example above, there would likely only be one engaged pageview recorded for that session; however, traditional methods of tracking pageviews per visit would show 3 pageviews. As we’ve talked about before when looking at engagement time as a metric, traditional user experience measurements can be misleading (bounce rate, session duration, pageviews per visit). They won’t always show when a user has a bad experience, in fact, they can often have the opposite effect; masking poor experiences. The example from above shows 3 pageviews for the user session. That may be above average for this particular website. Now imagine, that user’s experience is a very common pattern of behavior on that website. Visitors come, read the home page, click on a menu item, quickly bounce back to the home page, and leave abruptly. However, we can look at it objectively and see that those pageviews and lower bounce rates are a bit inflated. In fact, we could argue visitors are having a bad experience. Wouldn’t we want to know if there was a challenge with the way they navigated to other pages, or confused by some of the content links? Shouldn’t we want them to navigate to other pages, stay on those pages, and spend more time on the site? The answer is, yes. For two good reasons. The first is that you inherently want visitors to have better experiences so that they will continue to come to your site, see it as credible, etc. The second is that your website revenue and long-term traffic is directly tied to engagement, more so than traditional UX metrics. So how does an engaged pageview, or rather average engaged pageviews per visit, affect something like digital ad revenue? It is actually pretty simple and easy to understand. Let’s go back to our example from earlier. The visitor that quickly lands on the second page, only to have a navigation bounce that has them immediately return to the homepage. That brief second pageview isn’t very valuable to potential advertisers. If that page continues to experience those types of visitor behaviors, you can bet that viewability, CTR, and performance of ads on that page will start to decline. Those three things — viewability, CTR, and ad performance — play a big role in the eCPMs of ads on that page. Visitor behavior that negatively impacts these stats will ultimately drive down the total earning potential of that page over time. What’s more, if advertisers see a lot of this kind of activity on a publisher’s site, they will likely blacklist them from future campaigns. This means publishers could see a lot less competition from advertisers for space on their sites. And, as we already know, competition improves revenue and advertiser quality. As an aside, advertisers rarely go back and update their blacklists, so it’s important publishers simply avoid them. Since we know about the impact of low-quality pageviews on revenue, what about engaged pageviews? We can assume much of the opposite. Engaged pageviews are likely to provide advertisers with more viewable ads, higher CTR’s, and overall better campaign performance (i.e. visitors will be much more likely to click on an ad and buy something from the advertisers if they are actually spending more than 10 seconds engaged on a page). 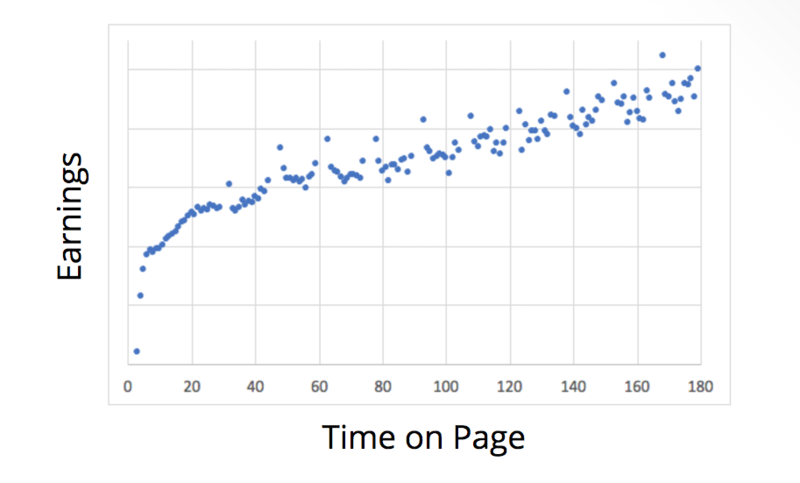 Data scientists have been able to see from thousands of sites that time on page has a direct correlation to revenue. This is why publishers should have a very good understanding of their pageviews vs. engaged pageviews in conglomeration with understanding things like navigation bounces and total engagement time. Knowing these three things together can help you understand if your visitors are generating a lot of low-value pageviews that could be ultimately harming revenue short and long term. Low-quality, non-engaged pageviews can also have an influence on traffic as well. In a recent case study, we saw that a rise in navigation bounces — in addition to an increase in low-quality pageviews — resulted in a loss of organic keywords and organic traffic for the publisher in the study. The publisher had elements added to their layouts that helped them produce more pageviews, but ultimately determined they were a result of “fake UX”. “Fake UX” is essentially the artificial generation of pageviews, reduction of bounce rate, or improvement in session duration that occurs as a result of something other than a good user experience. For example: A page that takes forever to load for the visitor with tricky navigation may actually produce more pageviews per visit, lower bounce rates, and greater time on site than a fast-loading page with simple navigation. 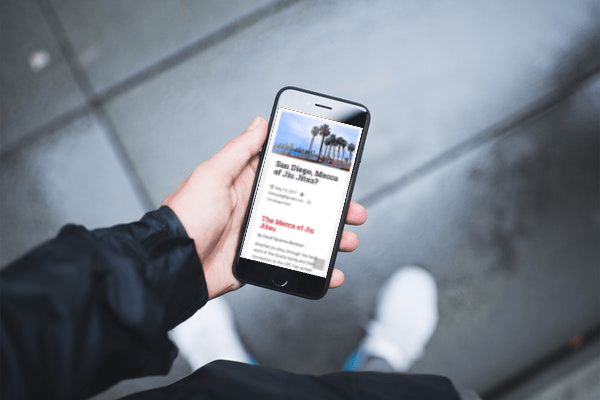 The visitor may have to wait for the page to load — extending time on site — and then experience accidental clicks through navigation that produce more pagviews and a lower bounce rate. However, from reading above, you now know that this can be detrimental to both revenue and traffic. The study highlighted that fake UX can actually negatively impact more than just revenue. It can have a negative impact on organic traffic and return visitor rate as well. Without going too far into why non-engaged pageviews may negatively impact SEO, we can assume a lot of it has to do with the fact that webmasters have been trying to trick search engines for a long time. Giants like Google Search look at so many factors when determining search satisfaction. It makes sense that they would be measuring the overall experience of a visitor; beyond just things like pageviews and bounce rates. Ultimately, engaged pageviews per visit are not only something that publishers should measure and strive to improve upon, it is a safeguard against poor navigation, misleading layouts, and poorly linked content. It is a quality metric that can help publishers define the best user journeys through their sites. Publishers can also use engaged pageviews offensively as well. 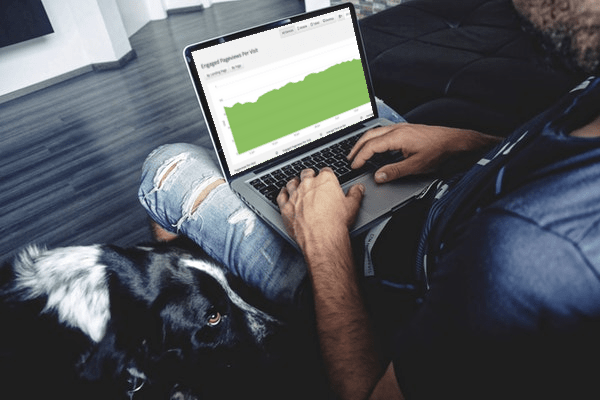 Looking at which landing pages produce the most engaged pageviews can help you strategically with content creation; as research shows that more engaged pageviews means higher EPMV (session revenue). Content teams can leverage this information to determine where the most valuable user sessions come from, what types of content create the most engagement, and how audience behavior may change with seasonality. This can also be used to look for outliers in your data. Are certain landing pages for users producing a higher number of engaged pageviews per visit than others? Lower? These are important questions to ask; as they can safeguard against issues but also be revealing about what the most valuable content on a publishers site might be. HINT: Landing pages that produce engaged visitors that spend lengthy time on pages and hit multiple pageviews often outperform high eCPM pages. 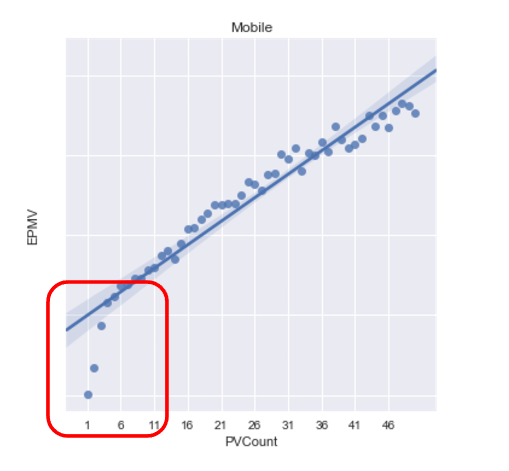 So, how do you measure engaged pageviews? We measure it by keeping track of visitor engaged time, which is the time they spend reading on a page. A user is not engaged if they are scrolling, not in the browser, in a different tab, etc. To do this, we keep track of the timestamp at which they load the page. Then we use a threshold of 10 seconds of engagement time to declare a pageview an engaged pageview. It is very difficult to do something like this with standard out of the box tools like Google Analytics; however, there are some other paid analytics services that allow you to customize things like this pretty easily. Ezoic publishers can easily access engaged pageview metrics in their reporting dashboard (by site, landing page, and page). However, if you’re unable to use any of the methods above, you can still track navigation bounces pretty easily. Where there are navigation bounces, there are usually low-quality, non-engaged pagviews causing Fake UX. Identifying where these are abnormally high on your sites is a good place to start if you want to eliminate low-quality pageviews that may be damaging a site. 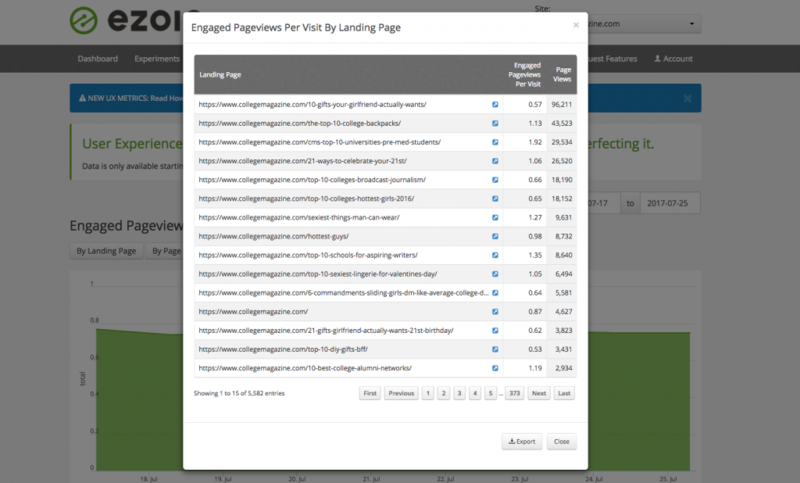 Engaged pageviews are a way to see which pageviews really matter to your visitors. It’s a metric that is difficult to corrupt. Often publishers will make website changes that appear to be improving overall visitor experiences on the surface, but harming site health and revenue long term due to fake UX. Enagaged pageviews per visit is an average number publishers can look at to determine the quality of a visitor journey through their site. This quality extends to advertisers, who will likely be willing to bid higher for ad space on a website as these metrics increase. Finally, monitoring engaged pagviews can give you ultimate truth about how visitors are navigating from page to page on a site. It can be difficult to find the truth in UX sometimes, and this is one of few metric that can allow you to measure true engagement with website content. NextShould Websites Delete Comments, Ignore, or Reply?